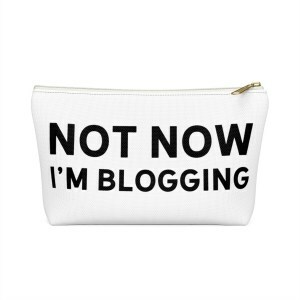 Let me guess why you’re here… You’ve gone on the hunt for the ultimate funny gift for your blogger friend and the internet (and the other online gift shops out there) have disappointed you. 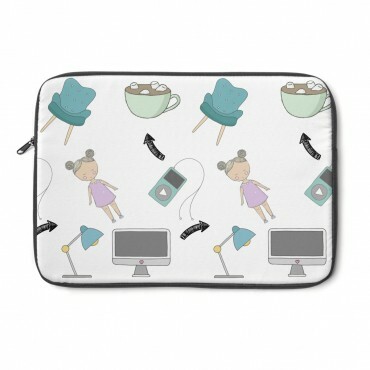 That until you came across this gift guide! 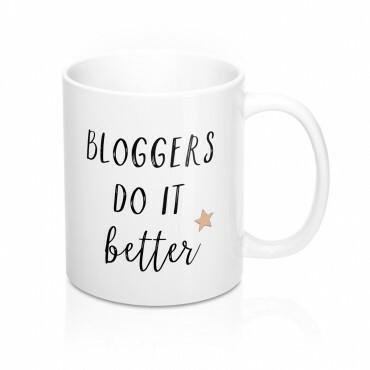 Well, you’re in luck because I’m about to present the best funny gift ideas for those bloggers in your life who deserve some appreciation (and who have a great sense of humour). 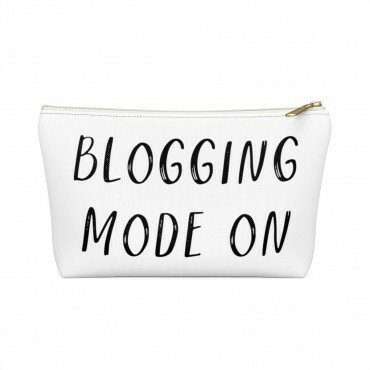 So whether you’re shopping for a blogger, a vlogger, an Instagram influencer or an online marketer (or for yourself), we’ve got you covered! 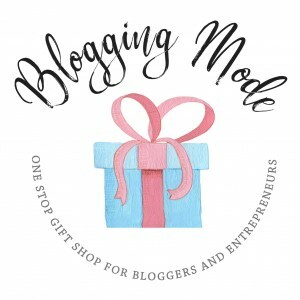 From blogging humor, to making fun of their blogging addiction, from personalized gifts from bloggers and practical home office supplies for small business owners, our shop has it all. A traditional gift that never gets old: a classic and comfy T-shirt with an amusing quote. 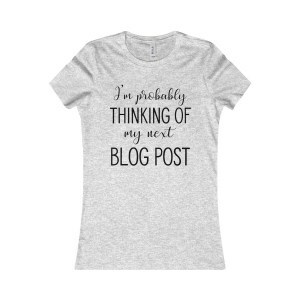 Our collection of T-shirts is personalized with blogging quotes and blogging humor, making these the perfect gift idea for your blogging bestie. Or better yet, why not grab one of these tees for yourself? 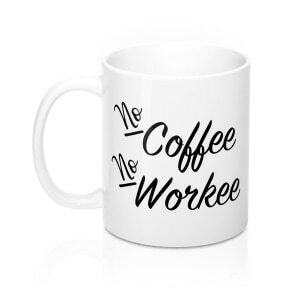 A practical yet amusing gift that cannot miss from anyone’s workspace: the funny coffee mug. 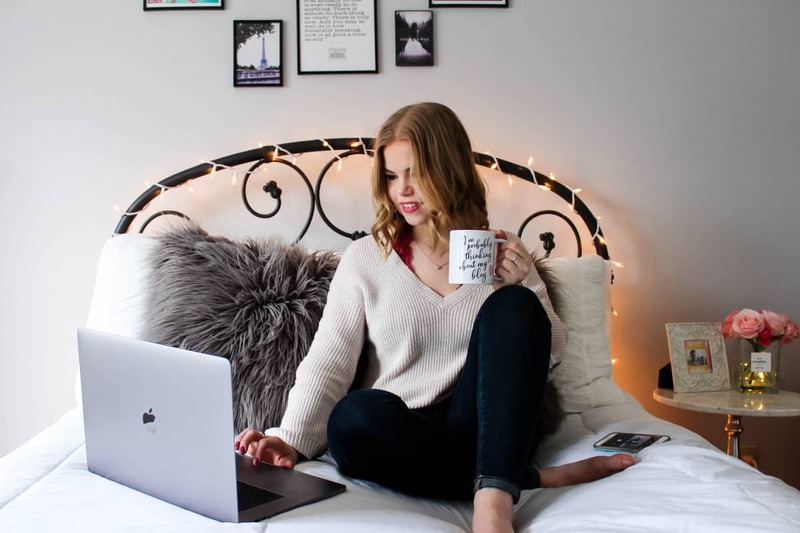 Our tea and coffee mugs are not only sturdy and practical, but they represent the ultimate gift idea for any blogger that’s Instagram obsessed (or a coffee lover), because they make perfect photo props. 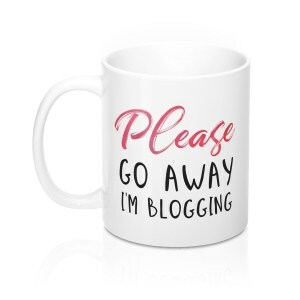 >>> Check out our post on 10 Instagram Worthy Coffee Mugs For Bloggers. 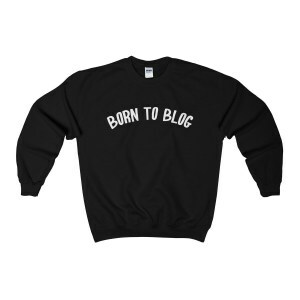 The ultimate cosy gift for bloggers: personalized plus size funny sweatshirts. Our sweatshirts are not only fabulous and funny, but they are also comfortable, making this the perfect unisex gift for bloggers of all ages. Pick your favorite style and colour today! 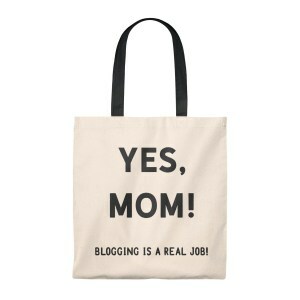 A needed item and a practical bag for carrying around your laptop: your vintage tote bags for bloggers. 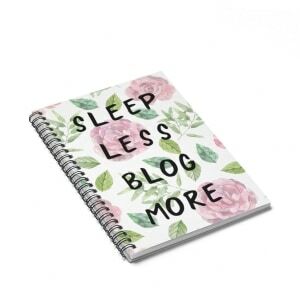 A perfect gift idea for the organized blogger: a funny but practical notebook that can be used as a blog planner. 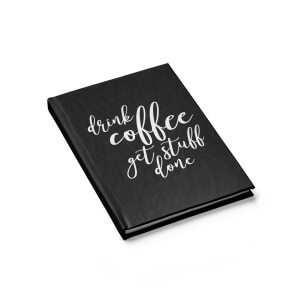 Our notebooks and journals are uniquely designed with funny blogging quotes for coffee lovers, bloggers and planner addicts. It doesn’t hurt that they come in handy as flatlay photo props as well. 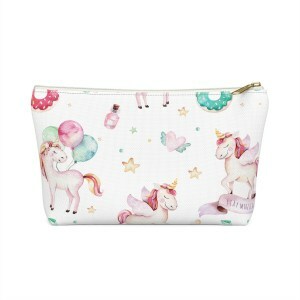 A more affordable, yet still awesome gift idea: the funny accessory bags and make-up pouches. Our travel-size accessory bags are a brand new edition to our store and they serve as amazing home office accessories and travel bags. 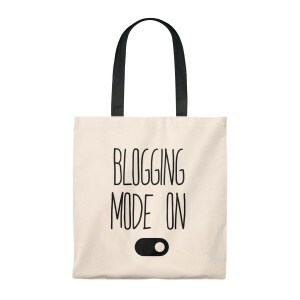 Printed out with personalized funny quotes about blogging or cute designs, you cannot go wrong with them. 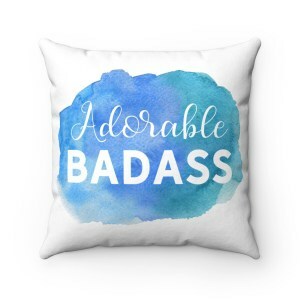 Last but not least, the gift that keeps on giving: cozy and amusing throw pillows. 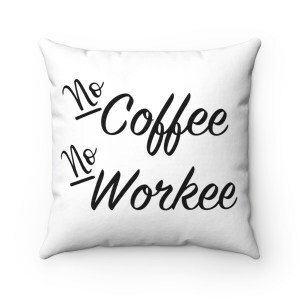 These custom-made throw pillows come in different sizes and can be used around the home office or as home decor items. 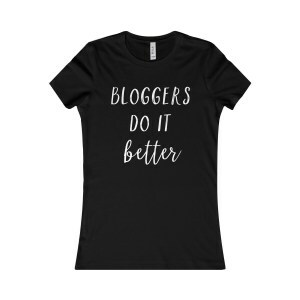 What makes them special is the fact that they are personalized with amusing and uplifting quotes, which means they would make such an incredible gift for that special blogger in your life. And there you have it! 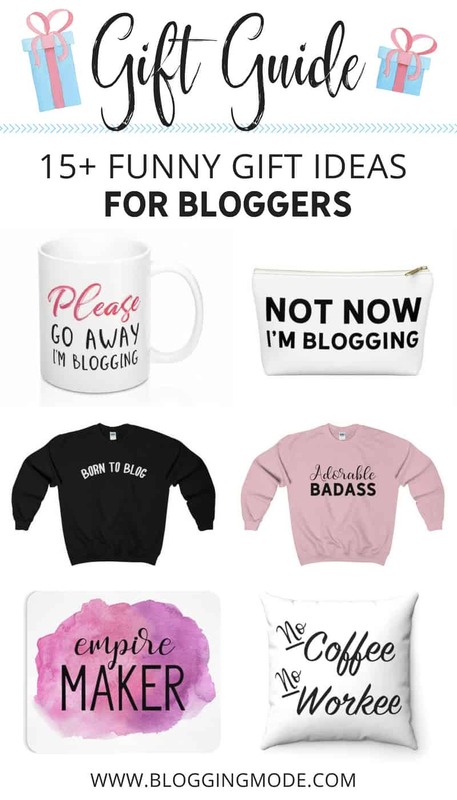 A list of our favorite funny gift ideas for bloggers that are created to amuse, inspire, encourage and surprise those special bloggers, vloggers or online entrepreneurs in your life. But the list doesn’t stop here! We restock our shop with new designs and products each month, so be sure to check back and take our pick. And while you’re at it, why not treat yourself to a little something as well from our little online gift shop?